A help given to us, be it through giving money or items and materials that we need for a specific purpose, is something that we should always be thankful for. There are many events that may not have continued if there are no help being extended for their materialization. Personal projects and advocacy may not also be properly implemented if the individual or any entity has been short in terms of funding. These are a few reasons why solicitations are very important. 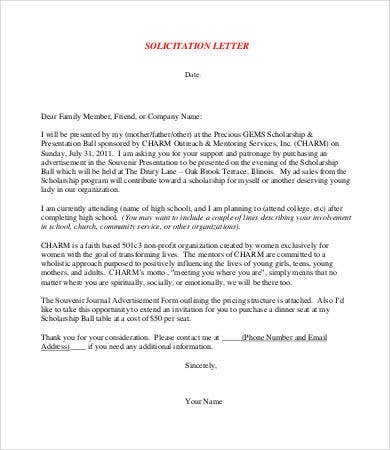 The best way to ask for help is to provide a solicitation letter to the business, individual, or organization who you think can help you with what you need to achieve a specific purpose. Our letter template may be your guide in creating a solicitation letter and other type of letters for different functions and transactions. 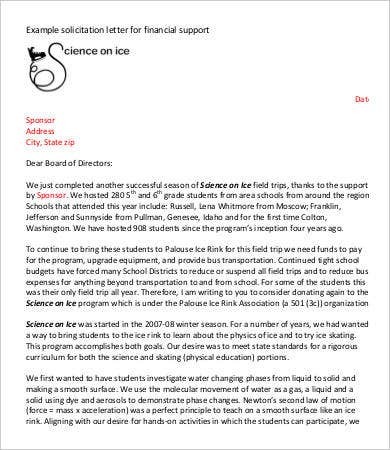 When Can I Write a Solicitation Letter? An event organizer may need help from sponsors and other entities to make an event happen. 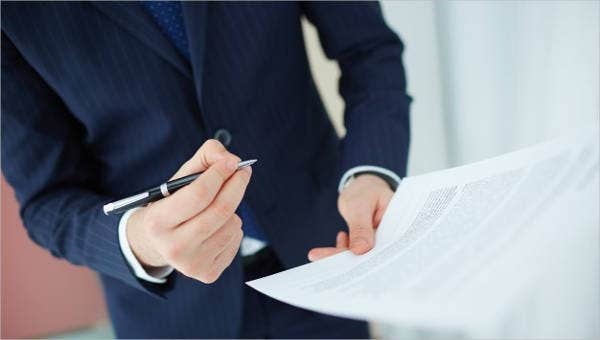 If you are to write regarding this matter, make sure to put in the letter the kind of help that you need and how can the person to whom you’ve given the letter can actively participate in having those needs acquired or achieved. 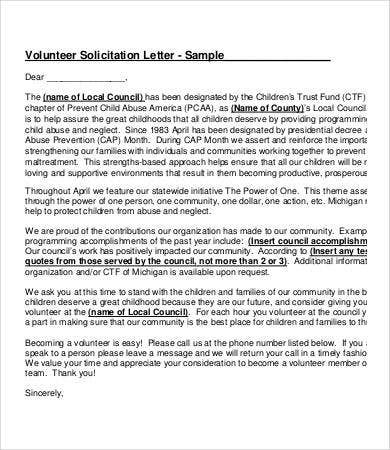 An entity may send a solicitation letter to different people or companies if they need additional help in volunteering activities. 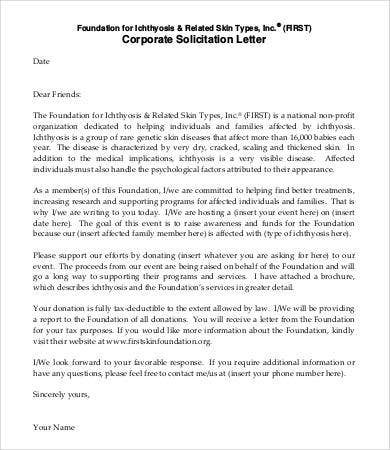 The solicitation letter used for this specific purpose needs to identify the people or the charity that will benefit from the help given by the person or a business. Participants of different contests and activities may also create a solicitation letter for different bodies and organizations to help them acquire the needs that they are required to have by the competition or event that they participate in. 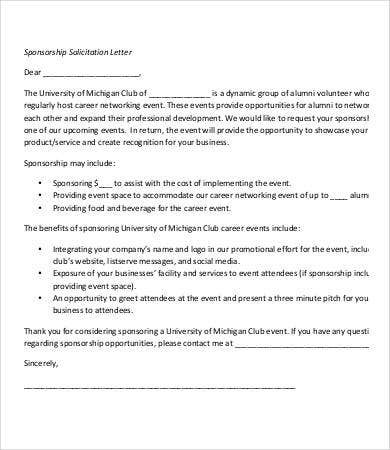 Other than our solicitation letter, you may also download our Sponsorship Letter and Personal Letter . A product launch by a specific company needs a lot of materials and other items to make the event complete. They can tap companies to give solicitations in terms of the food that will be served to the guests, the overall design of the area where the event is to take place, loots that guests may take home and other items related to the event. 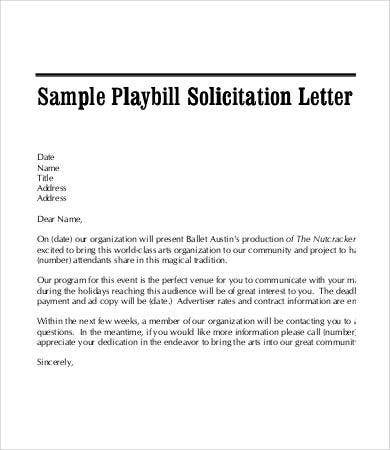 There are a lot of reasons why a solicitation letter can be made. 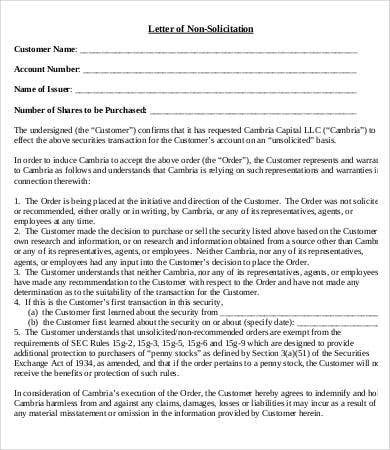 Just make sure to state the main purpose of the solicitation so that people can extend a helping hand especially if they believe in the cause on which a solicitation is made for. 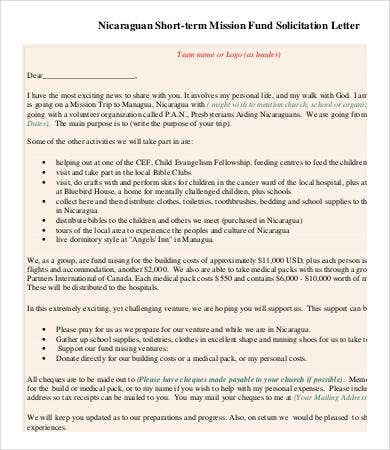 Other than our solicitation letter samples, you may also be interested to browse through our Donation Letter samples.